I want the ability to paste images directly into Canvas from the clipboard. An example: I want to use Windows Snipping tool (or any other screenshot tool) to create an image. I then want to CTL-C to copy it and CTL-V to paste it into a quiz or assignment or content page in Canvas. Another example would be Copy-Pasting from a Word document into Canvas. This site is able to do it! I just did it below! Let's get this implemented in Canvas! Ooooh, this would be SO useful! 2015-2016?? Please say direct pasting from clipboard is moments away from being executed. This is SO long overdue. Very outdated process we have to go through all day long trying to insert images. What a time-saver this would be, especially for quizzes which require images! When you paste an image into an editor, it is typically stored as a data URI. Not always as Jive automatically converts it to a file with a useless name like "pastedImage_3.png", but enough to cause me concern. Those data URIs are base64 encoded objects and become part of the page. For those who don't understand that, that means that it is about 33% larger than a binary image and you have to wait for it to download as part of the page. So, when you copy/paste an image into a discussion or onto a page or a quiz, several things happen. Images take longer to download than they would if they were uploaded and linked. Students have to wait for the image to completely load before they're able to do anything on the page. Someone could upload a couple of hi-resolution images and basically make everything crawl. You may remember the slowly-loading JPEG images on a page that take a long time to load and they slowly fill up the screen. 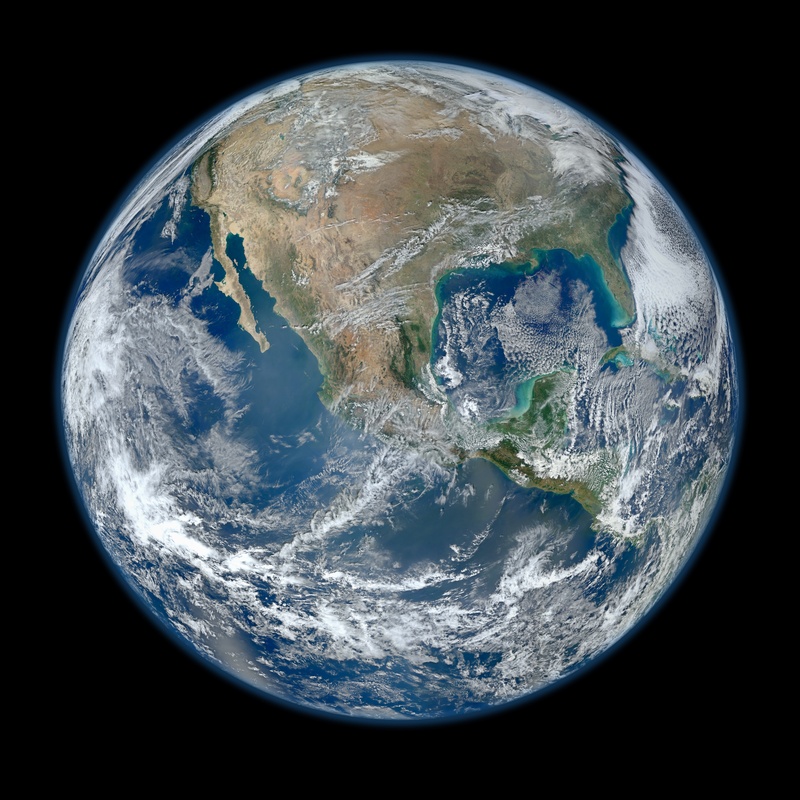 If not, take a look at this 8000x8000 resolution, 16.8 MB picture of the earth from NASA. (by the way, that would be about 21.9 MB with base64 encoding). But this isn't loaded after the page with a data URI, it's loaded as part of the page and nothing else on the page can load until it's done. When files are stored as images and linked, the rest of the page displays and then the images can be loaded afterwards. When an image is saved as a data URI, there is no ALT attribute for the description of the image because there is no img tag to apply the alt description to. That's an accessibility issue. A long time ago, there were notes to wannabe webmasters to always resize their images to the page so that people didn't have to waste bandwidth and time waiting for a large image to download just to be resized. Lack of bandwidth may not be the issue it once was, but broadband has been redefined to be 25 Mbps or more and there are a lot of rural users who don't have that (including me). Even Facebook recognizes that not everyone has high speeds and is offering 2G Tuesdays to their employees so they can better understand various markets. Now, if there was a way to take a copy/pasted image, prompt for a filename, automatically save it to a file, and ask for an ALT description (essentially a file upload via copy/paste and then link to the file as an image and not a data URI), you would have something truly awesome.. This feature may help the content-creator's experience, but it is bad for the end-user's experience. I'd like to address some of your concerns. First, although the image size can be about 33% larger when stored as data URI, gzip mitigates most of that, resulting in an image about 1-2% larger. Images will not necessarily take longer to download. Many sites are encoding all of their images as Data URIs as a way to minimize HTTP calls. In today's world the bottleneck tends to be the number of concurrent HTTP calls, not sheer bandwidth. Yes, the whole image must be downloaded before it is displayed, but you are overstating the issue by looking at an extreme case. Yet even in that extreme case, I clicked on that image and it displayed as close to instantly as I can tell. Caching is not defeated - only caching the images as separate files. Since the image is encoded in the page, the image is cached as part of the page. Again you are overstating the issue when you speak of bandwidth. The redefinition of what "broadband" means has no bearing in this discussion. I had no issue loading this page, yet the image I posted in the original post was pasted into the rich text editor. I don't believe the whole Internet should look like image-less Craigslist postings because we are concerned about bandwidth. Your Facebook example is just as absurd as the statement I just made. 2G Tuesdays exist to simulate Internet consumption over cell phones in 3rd world countries, not exactly the average use-case for Canvas. As I said in the original post, there are many sites out there that use this feature successfully - including this very one. I trust that if there is a way to do it successfully (as there obviously is), the good people at Canvas can figure it out. This is a feature request that will be beneficial to content creators. I don't care how it is implemented. Your suggestion of automatically saving it to a file should be one of the avenues that are explored. Let the people at Canvas explore the idea to see if there is a way to do it with little to no effect to students. Thanks for your insight and I'm glad you've got an fast internet connection. You make some valid points, especially about gzip, but Canvas pages aren't cached, they're regenerated every time they're loaded. Down voting can actually a good thing. It fosters discussion and that causes it to rise to people's attention faster than just sitting there collecting votes. Thank you! I am new to this community, and appreciate the discussion, I edited my post above to remove the reference to downvoting. Well, with that clarification, maybe it's not as good as it initially looked. I agree with Mr. Lomas that this feature is used successfully just about everywhere I look (and on every web platform I use). Our students are learning and communicating via internet. They are impeded not by the speed of loading images but the fact that there is no image at all because the instructors don't have time to stop what they are doing, save a hard file of a screenshot, upload that file to their Canvas files, then insert (what is often for me) a quick screengrab of an example I'm trying to demonstrate. I don't mean to be a jerk. I'm just really tired of wasting time saving and uploading screenshots when I know it can be more efficient. After reading James Jones's pellucid description of the effects of such a feature, I decided to downvote it, as it would degrade students' experience. Thanks Stefanie, but make sure you're down voting with full information. After getting some sleep, I modified the post after doing a little more research. You can convert it to an image and save it -- Jive does this -- but creates a randomish filename based on the post number and the number of items you've pasted in that editor. That would clutter the Canvas "files" for a document with random files like "pastedImage_142.png" in the main folder of your course (or perhaps they could make a folder for "pasted images"). Then, if you need to grab a particular image, you'd first have to find the image on your page / quiz / whatever and then go locate it. If you delete an image and re-copy/paste it, there would be no sense of "overwrite", it would be a new image and then you would have stale images lying around in your files. Most of my opposition hinges on it being a data URI, but as mentioned here, there are still problems, even if it's converted to a image. I'm still opposed, but I know a lot of people follow you and I wanted you and them to have a fuller picture (no pun intended). James - I wrote my reply above before I saw your updates and this post. I think the issue of creating clutter in the Canvas "files" could be solved pretty easily by putting the pasted image files in a logically named folder. For example, if a pasted image is put in a quiz titled "Linear Functions", the image could be placed in a folder structure that reflected where it is like: module/quiz/Linear_Functions/images. Grabbing a particular image could be done from anywhere (including the content page it is on) because all you would need to do is copy/paste. A solution for the stale image problem could be some sort of garbage collection that identifies when an image is not used. Or just allow people to manage the space they are allocated. Another possible solution to your concerns are caps on the sizes of individual files to ensure a speedy load. I appreciate the discussion and scrutiny. I do believe, though, that this is a feature that would be very beneficial and that it should be explored by the developers to find an acceptable implementation if one exists. Access to high speed internet is an issue for many students in 1 instance I admin. Additionally, Canvas storage isn't unlimited for my teachers either. Pics and Movies take A LOT of space! So, a solution I came up with is this. 5. Use the iframe and HTML Editor in the Rich Content Editor to make it visible. You do not want to just give a Google Drive link because it takes too much time to download and doesn't like older devices either. Due to a lot of factors, connectivity isn't stable for a majority of my users and if something takes longer to download the loading circle of death appears. Or the poor Panda on the unicycle gets too tired and times out. Having a place to store pics/ movies with well identified names to modules/lessons and embedded means it just opens in the browser. In turn, those teachers using it in class don't lose precious instructional time, and students can view it on any device. Stefanie - Although I disagree that it would necessarily degrade students' experience, I would ask that you reconsider your vote to allow the developers and engineers to explore the feature and determine if there is a way to do it without the negative impact. I tend to agree with the sentiment that we should not overly micromanage this feature request. The bottom line is that this ability to paste images would be a very useful feature for teachers and designers. If it shows itself to be a popular idea, I am confident that the Instructure developers will work hard to hassle out a way to do this without causing more problems than it solves. And if it can't be done well...I'm guessing they won't do it. But please let's give an idea a chance to be considered. James Jones and Mr. Lomas, your thoughtful evaluation of how the feature might be implemented so as to preserve students' experience while enhancing content creators' ability to share images makes me very glad that I downvoted this feature idea, because as James notes, the effects of downvoting--in this case, detailed comments from people who know far more than I do about how it might be accomplished behind the scenes--can instrumentally influence implementation. Although I'll leave my downvote intact for now (it's just one against the wind, after all), I will continue to follow this conversation with great interest. I agree that if this were implemented that it should include a prompt to insert an ALT tag. This is what Dreamweaver does. That would make my Canvas life so much easier. The inability to take a screenshot and paste it into canvas is one of my biggest critiques for Canvas. Please add ASAP. I like this idea a lot. We have some other enhancements that we want to do to the Rich Content Editor first, but I agree it would be great if we could support a copy/paste or drag and drop workflow for images. Will probably need to archive this idea for now, but please keep your ideas, use cases, and votes coming around this feature request. Also, I really appreciate the knowledgeable folks who have commented around performance and the technical implications of a feature like this. That kind of detailed insight and consideration is always welcome! I am frustrated that this has not been taken further and find it slightly ironic that copy/paste of images is possible on the Community forum. We do need a balance between impact of use and ease of design. So many VLEs have failed or remain in the hands of the more technical people just over issues like this. If we are to blend digital learning with traditional methods then more needs to be done to support the classroom teacher. More often than not we are asking them to make substantial changes to how they deliver, assess and develop skills, knowledge and understanding. Increasingly this is done with limited resources to support training in school and very often not with any initial teacher trainign expertise. Use HTML Editor when pasting in code - why not click on the RCE and press a button to paste code in a text box to enter at that point? Having been involved in the development of VLEs for the last 12+yrs the one thing I can say for certain is that the digital expertise of teachers has not developed in the same way that technology and access to technology has. For this reason I side firmly with those we ask to make rather than those we ask to watch and read. Thank you Gideon! I agree that is frustrating. To tell you the truth I have largely stopped voting and submitting ideas because of the lack of execution. I think that a large part of the issue is also the natural division of LMS needs and requirements that higher ed and K-12 have. In my conversations with people from higher ed institutions, I've learned that they usually have "course designers" who do all of the course-building work for the instructors. Course designers have the skills and TIME to navigate around the Canvas environment as it is, learning how to work around its idiosyncrasies and pinch points via HTML, CSS, etc. Almost all classroom teachers in k-12 have no such person to depend upon; all but the largest and/or wealthiest school systems simply cannot afford to hire course designers. K-12 teachers simply don't have the time in their ridiculously busy schedules to become Canvas and HTML/CSS coding experts. As an instructional technology coach to those teachers, I see their frustration and exhaustion every day, and it pains me deeply. Then I come to this Ideas area, and I see that many of the ideas being shelved are ones that our K-12 teachers desperately need in order to build effective course material. My take on all of this, after many conversations/observations with other Canvas users across the spectrum of K-12 and Higher Ed? I believe that Canvas needs to have 2 separate LMS products. Why? K-12 LMS needs are so different from higher ed's needs. I don't think anyone will argue with that. A separate LMS would free design teams at Instructure to focus on a narrower user set and to provide a more robust product for said users. I believe that a division is necessary because the higher ed community's needs naturally tend to take priority at Instructure due to their greater economic clout. This is not a criticism of the Instructure company; this is just a reality in the world of business. I believe that a division is necessary because the higher ed community's needs naturally tend to take priority at Instructure due to their Instructional Designers' generally stronger understanding of the "back end" of software engineering, which makes them more eloquent and competent-sounding in their interactions with Canvas design teams. Also, their similar educational and experiential backgrounds contribute to a natural affinity for them because it's a normal human tendency to gravitate to people with whom you have more in common. This is not a criticism of Instructure employees; this is just a reality in the workings of the human brain and psyche. Until this division of LMS products occurs, I don't think the Canvas LMS will be able to reach many - even most - of K-12 Canvas teachers. And Canvas isn't alone in this disconnect with teachers; I think this is a problem across the LMS product spectrum. And with my thesis now outlined, I will descend from my soapbox. Thank you for directing me to that discussion, Stefanie Sanders! Yes, great idea! Would the pasted image then be stored in the Files>Images folder? Thanks to Stefanie Sanders for this reference from another similar idea. What in the world does Khaki have to do with Canvas? Again another bad design by Canvas developers. When something is not working the developer, Canvas should not allow the user to do it in the first place. Canvas should NOT allow users to copy paste images into the Rich Content Editor until this feature is working properly. But it does and we all see the image in the Rich content editor. The current process of going to files and uploading an original image to be used in a quiz or page and then going back into edit mode is too many steps. Being able to upload with the rich content editor from my computer or simply copy the image and then paste the image is the standard on many other platforms, and Canvas has made this confusing for its users. Also drag and drop from the file menu. I recently uploaded a lot of images into the file section in nested folders. I can access those nested folders in the page file menu and open them, but I can not drag and drop those images directly into the editor. The only other option was to manually add images with the embed images tab which takes forever. It took me 3 hours yesterday to add images this way for one page in Canvas compared to 20 mins of dragging and dropping them into Keynote for the actual lecture. Very useful! Also for 'regular' files, like pdf, docx, pptx (college sheets) etc. I disagree that copying and pasting an image would be a good thing, unless several other things occurred. Pasting wouldn't allow alt info to be added - unless when the page is saved or after the image is pasted that a prompt requests that information. Pasting also means that image is not available for other uses - again, unless a prompt occurs requesting it to be saved. I'm also guessing that a pasted element would only be viable in the course where it was pasted, meaning that it wouldn't be available if that page/quiz/whatever is imported into a different course or when the course is imported into a new term. These are all thoughtful limitations to a simple copy and paste but they don't defend the inaction to make the C&P possible. I agree that there are a lot of considerations that would make adding images and/or other files easier, more complete and robust. But they are separate issues. So many times a day I need to share with a student something that is specific to them. I grab a screenshot that I will never use again for anyone else ever. And now it is a hard file on my computer that I have to clean up and it gets uploaded to Canvas where it will sit in a folder getting copied forward as I copy course content forward and create a bigger mess to manage. Right now, instructors can copy and paste text + images into a Canvas editor and it looks like it is working fine. But later they'll hear from students that they don't see any images (because they images are still hosted in a different course or the instructor's file system that is inaccessible to the student). If support for this cannot be added in the near future, perhaps a warning could be displayed or else a version of the link validator could be run alerting folks about broken images & links before they save a page. Very much looking forward to this feature! ... this is 2018! Saving images as a hard file, uploading to our canvas filed, inserting the file to display the image?? This is like putting a stamp on an envelope and riding my horse to the post office to mail it. This has been a thorn in my side since day one for me. I don't have time to go through this multi-step process any more than I have time to write posts to the Canvas users idea board, but here I am. What I teach is highly visual. I record video demos and they are VERY easy to embed (no need to upload and go through a bunch of disconnected steps). Please give us the ability to paste images directly from the clipboard before I lose my marbles. I spend WAY too much time on Canvas as it is. Thank you for this idea. I depend a lot on my windows snipping tool and I use it to help my assignments become more accessible to students. This tool helps me create easy and quick presentations, assignments, and assessments students can use in my class. If canvas adds this feature, I could easily transition to using canvas as my preference to embed images/visuals that will help further learning in an assignment. It would save us, teachers, a lot of planning time which nowadays is very precious being that we have numerous PLC meetings that only focus on data analysis and not on lesson planning. See highlighted text, does "...not expected to influencing development..." mean it is left out from the development cycle? That is what I get from the other highlighted text that it will be reconsidered. Here is a question to consider, is "usability" or "easy of use" a static concept or could you say that usability in 2007 has changed a lot in 2019? Interesting. I think usability is a critical feature of any (digital) tool especially when considering change management. Usability supports engagement and whilst engagement is not learning, it makes things a whole lot easier. The challenges come when expectations are not met. I read many comments in the Community whereby a move from one digital product to another has disappointed in some regard because there was an expectation that a similar process/feature would work in the same way. This effect is multiplied when you are the person leading the change and responsible for support/training in that you are often reminded of the features that are not present. That said, if you have no experience of the patform working the way you expect it to then often you simply accept it is something that the platform cannot do! I guess it possibly becomes more frustrating the more you come across the feature? I am new to Canvas and was aiming to move my quizzes over from 'klickers' in PowerPoint to Canvas. My present quizzes in PowerPoint have diagrams and images. I assumed it would be easy to just copy each image and paste them into the quiz, but it seems that this is not possible to do. I dont know the tech side, but I would assume that this would be a basic feature that is so useful to so many. To have to re-find all the images, the links, or to save each one, even if I was starting from scratch, is very very tedious! What puzzles me is that this initial thread, requesting this rather obvious feature, began in October of 2015, over 3 years ago, has over 400 Up votes, yet still has not been incorporated. Perhaps there is a way, that I do not know about. If it is still not, when this feature will be implemented? These are the small things that keep my teachers from wanting to use things like Canvas Quizzes. They can copy their text from Google Drive really quick, but then when I tell them they have to save all their pictures and upload them to Canvas, then add them to each question, they're like... Nope, don't have time for that. Re: Why on on earth is Canvas unable to import equations from MS word Equation editor??? Re: How do I edit a stimulus image?